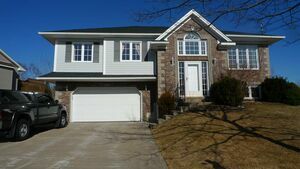 36 Lakeview Road, Lakeview (MLS® 201907329 ) Executive 3 bedroom two story home with large country kitchen and open concept great room plus attached double car garage. 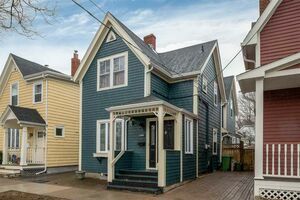 This home features municipal water, Energy Star certified construction (saves on monthly bills), two head mini ductless heat pump, gorgeous hardwood stairs, a spacious master bedroom with walk-in closet and full ensuite including 4 foot walk-in shower and a second level laundry room. The basement is unfinished and provides rooms to expand in the future. Includes 7 Year Atlantic Home Warranty. *Other plans are available or we can price yours, give us a call. Zoned R1-B allowing for legal in-law suite.